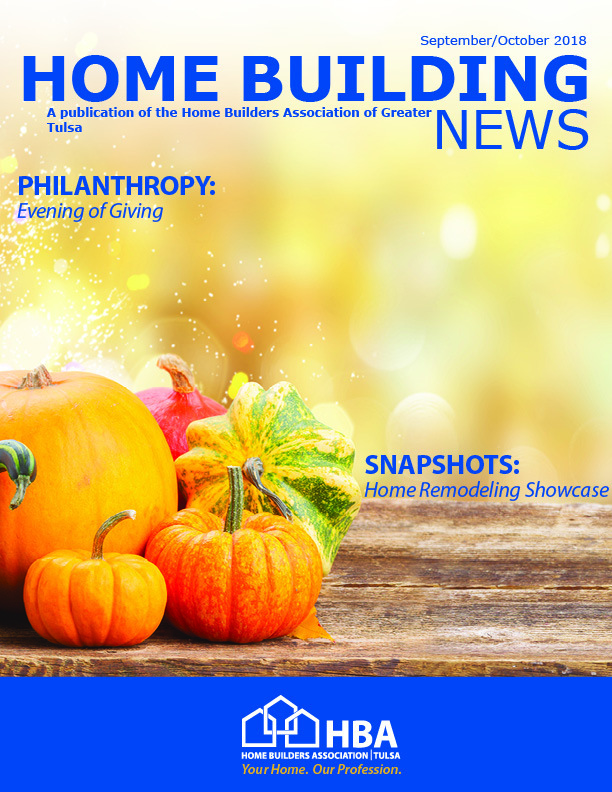 Home Building News is the monthly magazine of the Home Builders Association of Greater Tulsa and contains the latest Association news as well as industry, membership and event information. The magazine includes volunteer recognition, upcoming events and features. It is distributed to all members of the HBA (~1000), in the lobby of HBA office, mailed to local officials and by request, and posted on the HBA website.